Anko currently has three calibration laboratories operating in Southern California. Our Anaheim facility houses our corporate headquarters and primary calibration lab servicing L.A. and Orange counties. To service customers in Riverside county we opened our Temecula, CA lab in 2011. To service our San Diego county customers, we opened our Vista, CA lab in 1997. Anko has always placed the highest importance on acquiring and maintaining state of art calibration and test equipment to ensure full capabilities and meet our customer's requirements. 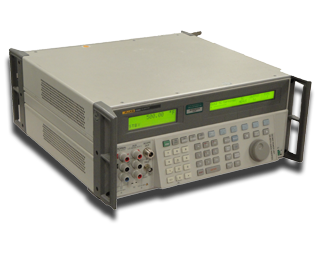 Anko's professional metrologists are formally trained on many types of test equipment and take pride in the quality of their workmanship. Our on-going training combined with Anko's aggressive Quality Assurance Program and 100% Quality inspection assures your instruments undergo meticulous scrutiny prior to their return. To coincide with our in-lab calibration service and better serve our customers we offer free scheduled pickup and delivery, depending on your location, and our guaranteed turn around time is the best in the business. Emergency/expedite calibration service is available upon request, and you can always stop by one of our labs to drop off any items that need serviced.